How do I change my page's template? Use the Page Layout menu to select a different template for your Shopify page. Changing the template of an existing page is very simple to do. In the top-right corner of the Shogun editor, click on the three-dot button and select Page Settings. 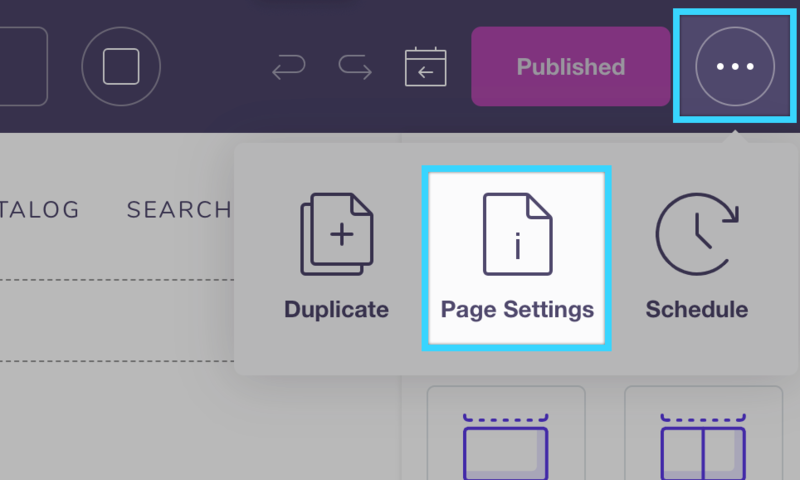 The Page Layout dropdown menu appears at the bottom of the Page Settings panel. This menu displays which template your page is currently using. 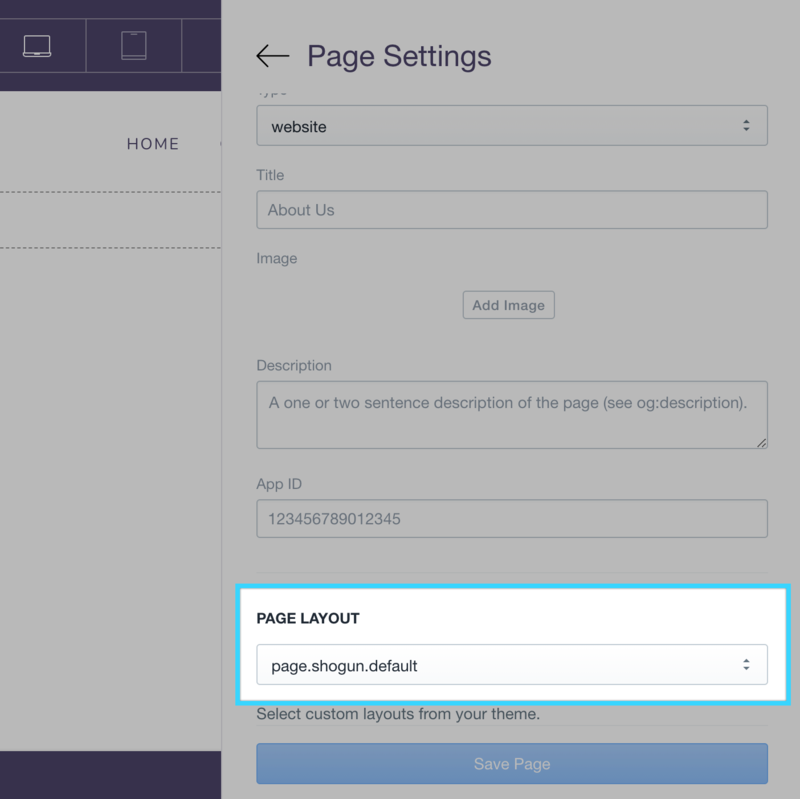 You can use the Page Layout menu to select a different template for your page. The "page" option is the default template of your Shopify theme. The "page.shogun.default" option is the theme's template with the page title removed. The "page.shogun.landing" option is a blank template without the theme's header and footer. Any other page templates included in your theme will also appear as options in this menu. The template can also be changed in articles and product pages that are using the theme's existing layout option.